Applications are now open for young people, aged 5-18, as well as parents to become representatives of the arena. The programme will see ambassadors help tell the Flip Out story across their networks, whether that be via social media, at school or even their local community groups. In return each ambassador will be given unlimited access to the Rutherglen trampoline park for a full year. Applicants across Glasgow and the West of Scotland are being asked to email a 20 second video explaining why they love Flip Out. Entrants will be judged on their passion for the park, creativity and bubbly nature. Ambassadors will help Flip Out create a host of fun videos and pictures for their social media channels, share their experiences of the trampoline arena on their own (or their parents / guardian’s social media), and talk about their time there with friends and family. Each ambassador will receive a personalised unlimited access pass to the arena and brand new Inflataflip, with access for up to three friends or family with every visit. To be in the chance of becoming an ambassador for Flip Out, simply send your 20 second video to rachel.flynn@framecreates.co.uk with your name, age and address. If you are under 12 you will need to be accompanied to the arena by an adult. 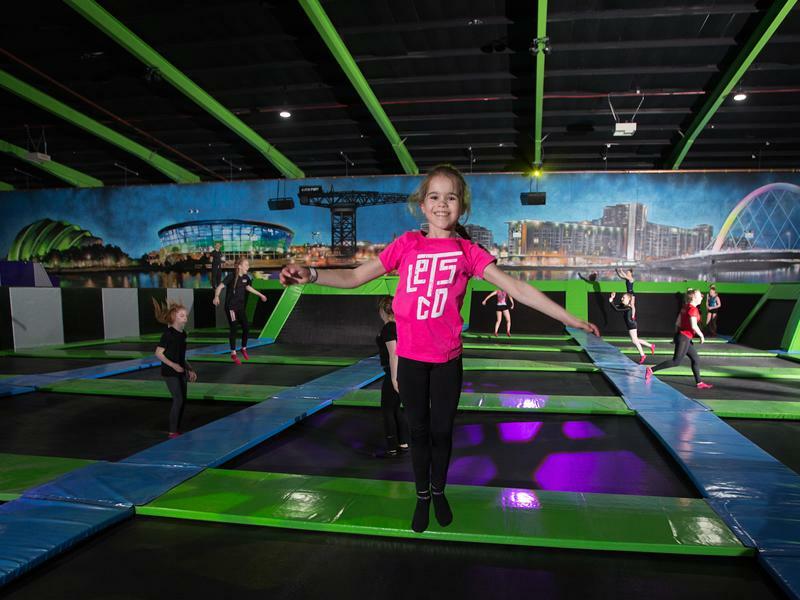 Flip Out Glasgow is one of the world’s biggest trampoline arenas and is home to a Ninja Warrior obstacle course, ultimate wipe-out, soft play and of course trampolines. The arena is also scheduled to open its new Inflataflip in the coming weeks. To book, call 0141 406 1600.